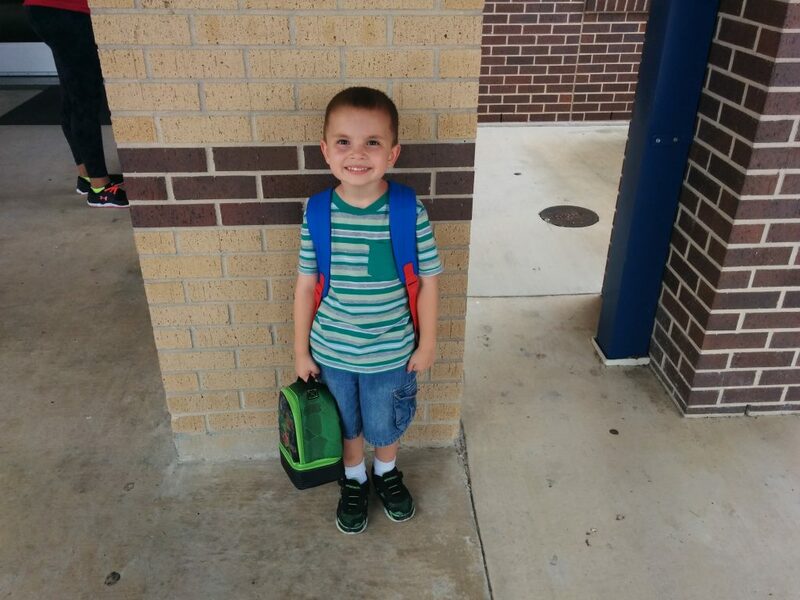 Weekly Happenings: The big thing that happened this past week was Joseph starting pre-k. He’s in an afternoon class, so our daily routine goes something like this: get up, eat breakfast, pack a lunch, play for a bit, and then head out the door. The school is close enough for us to walk, so we do so. I did go and buy a huge golf umbrella to block some of the sun (since I realized that it was too much sun exposure for me…Joseph has quite a bit of Paul’s pigment, so he doesn’t seem to burn like me, but he was still complaining of the heat) and it was quite a bit more pleasant after that. Joseph goes to school for about three hours, so while he’s gone, I usually run errands or do something around the house…and occasionally toss in a power-nap. 😉 This past week was also Parent Orientation (read: Back to School Night), so I went to the meeting while Paul hung out with Joseph. 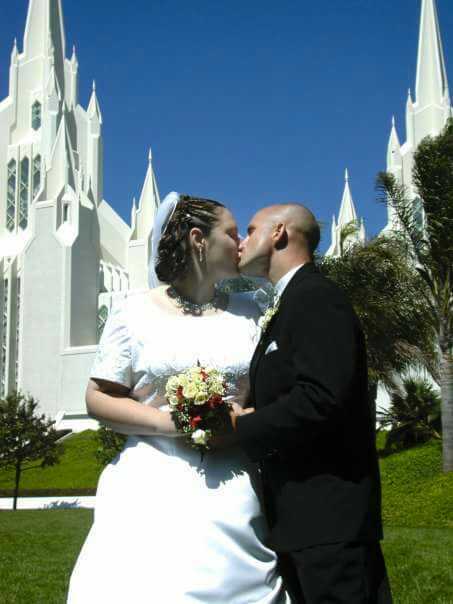 Oh, yeah…and also our fourteenth wedding anniversary! Parent Orientation was scheduled for the evening of our anniversary, so Paul took Friday off so that we could celebrate then. Joseph still had school, so Paul and I went out for lunch while he was in school. We also went out to the mall to check out the grand opening of a store called Think Geek. It was originally just a website where you could find some “geek” themed stuff, but they are beginning to branch out into having brick-and-mortar stores. It was rather crazy (there was actually a line to get in), so when we got in, we circled around the store rather quickly (we’ll probably go back after it’s settled down a bit). 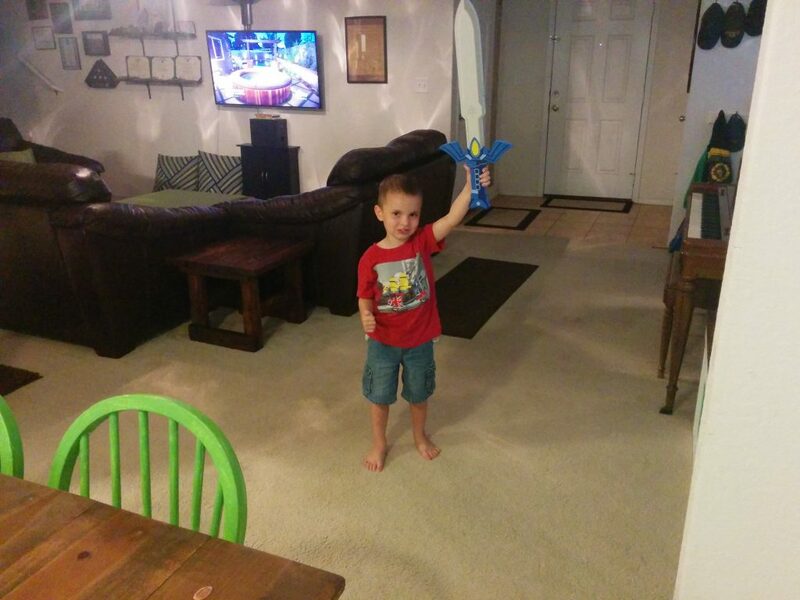 We did find a treat for Joseph: a master sword (from Legend of Zelda) that is his size. He has a larger one that his Uncle Jason got him for his birthday, which he loves, but it’s a bit hard for him to swing around because of its size (never mind that every time he does, I worry he’s going to take something out, haha). We gave him the smaller version after we picked him up from school and he was pretty excited, to say the least. 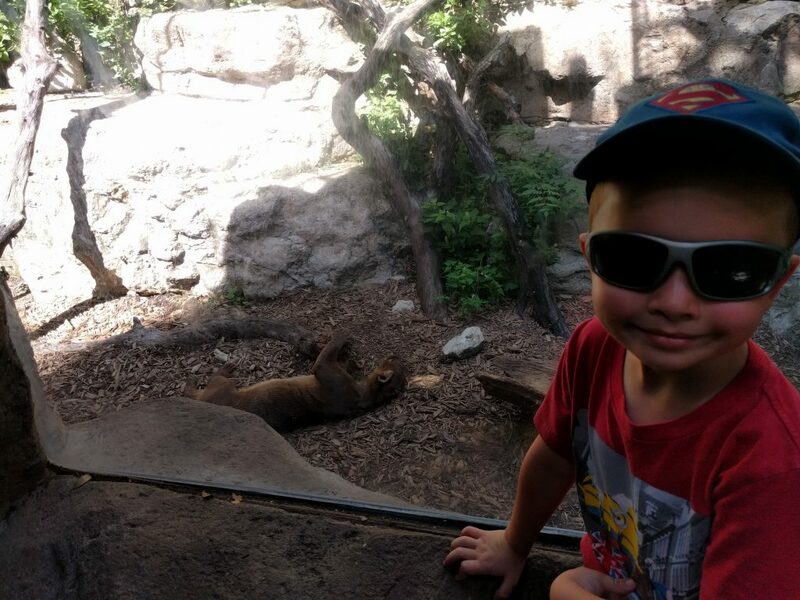 After that, we went to the zoo. Going late in the afternoon of a week-day during the school year seems to be the prefect time to go. We were able to park close and it wasn’t crowded, so we were able to really take our time to look closely at the animals. Yesterday was a typical Saturday. I picked up some clothes for Joseph (slowly working on getting his wardrobe for the next size up), Paul did some work around the back yard (read: packed up the pool, since we aren’t really using it at this point, spread some new mulch in the back play area, and stabilized Joseph’s fort a bit). Joseph and I also spent some quality momma-son time making some cookies (we took some to our new neighbors who are renting the house next door…we have plans to drop some more off with our other neighbors who moved in a while back, we just didn’t take them cookies at the time). The Weekly Weather: It’s still warm, but it’s been cooler than it was at the beginning of August. We had at least one storm move through. It has been rather humid, so it almost always feels warmer than it says on the thermometer (by around five degrees or so). We do have thunderstorms in the forecast for this next week, but the percentages aren’t very high…we’ll see if we get some more rain. What Paul’s Been Up To: Mainly work…Scouts has been a bit light during the summer (due to boys being gone on vacations and whatnot). He still has a couple weeks left before starting his next semester for school, so he’s also been soaking up some extra time with me and Joseph. He’s been working so hard at school (and doing a really great job), that he really deserves this break! Yard work has also been on his to-do list this past week. It finally dried out enough for him to mow the yards, and he got to use his new leaf blower to get rid of the errant pieces of grass. 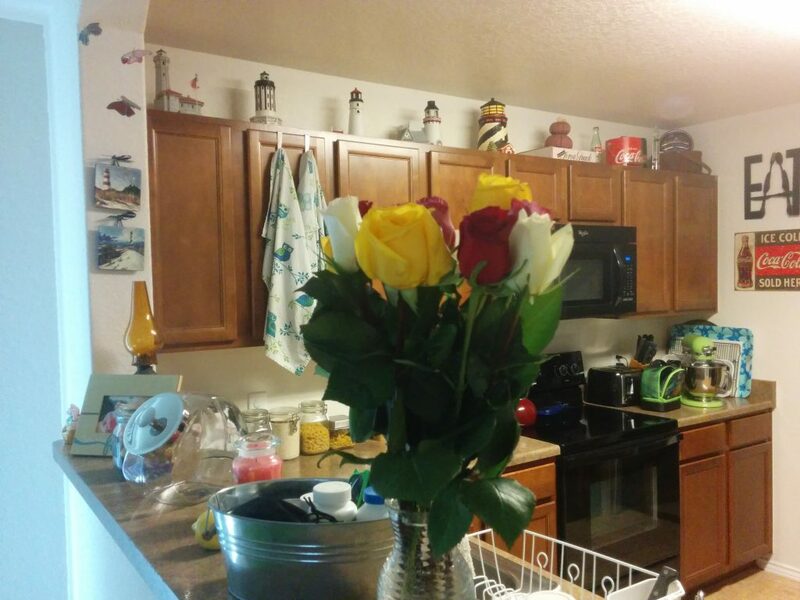 What Sarah’s Been Up To: I went out to lunch with some of my girlfriends on the first day of school, and went grocery shopping. By myself. It was sort of nice! Going grocery shopping with Joseph isn’t neccesarily a bad experience, but it does go more quickly when it’s just me. I’m going to soak it in for the next few months before Abigail makes her appearance. I also broke in my new Dutch oven by making stew last Sunday. We had friends over for dinner and it turned out so yummy! 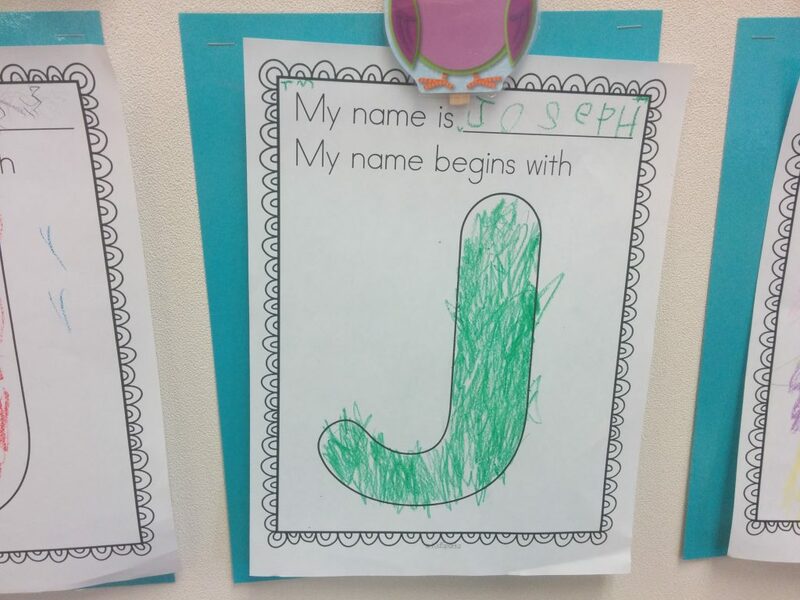 What Joseph’s Been Up To: He really loves school. I mean, LOVES it. 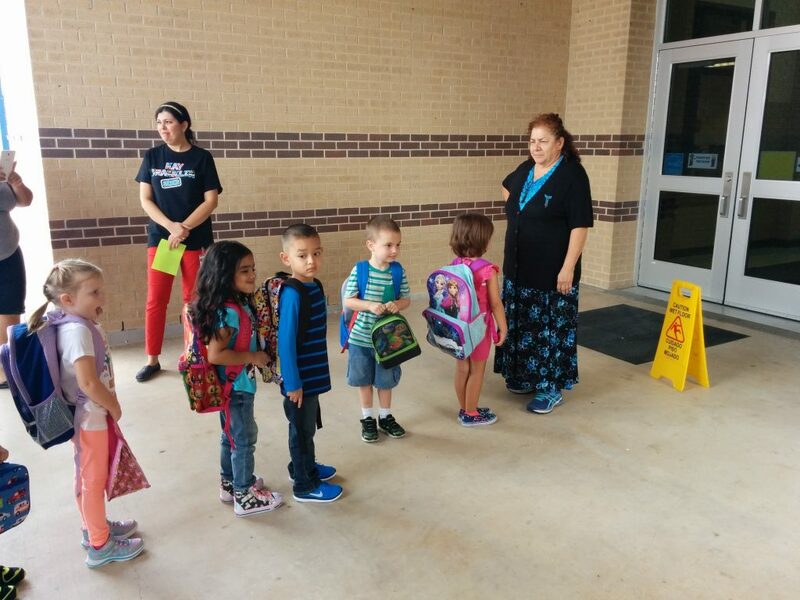 When we get to school, we usually end up waiting a few minutes for his teacher to come out and get the kids, but as soon as she makes her appearance, he rushes over to get into line. 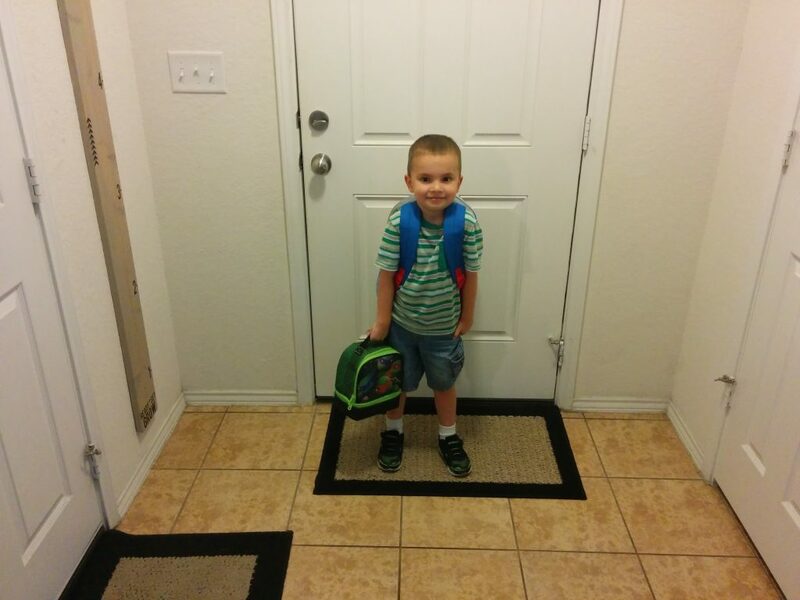 There were no tears or fears the first day, and he was still excited to go on Friday. 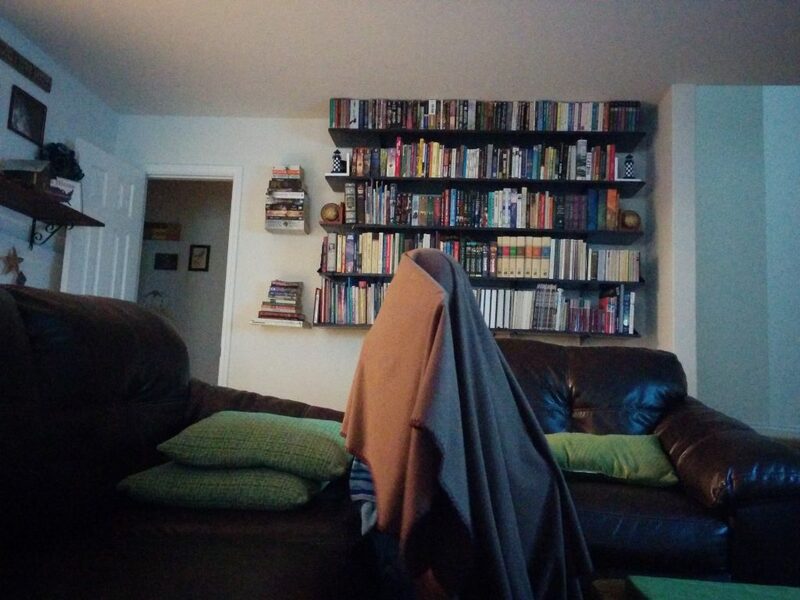 🙂 One funny story: last night, Paul and I were in our room, listening to an audio book before bed, and we heard Joseph “sneaking” around in the loft (he isn’t exactly quiet). Paul swung our door open rather quickly…just in time to see Joseph high-tail it back into his room, vault into his bed, and pull his body pillow up over himself. 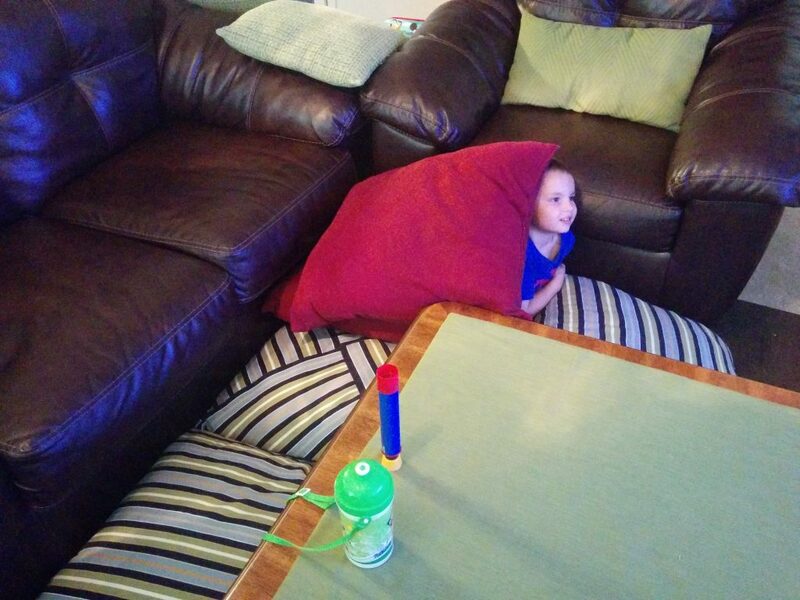 We may need to get that kid into an Olympic training class someday. I wonder if there’s a category for “epic escape from Mom and Dad at bedtime”? 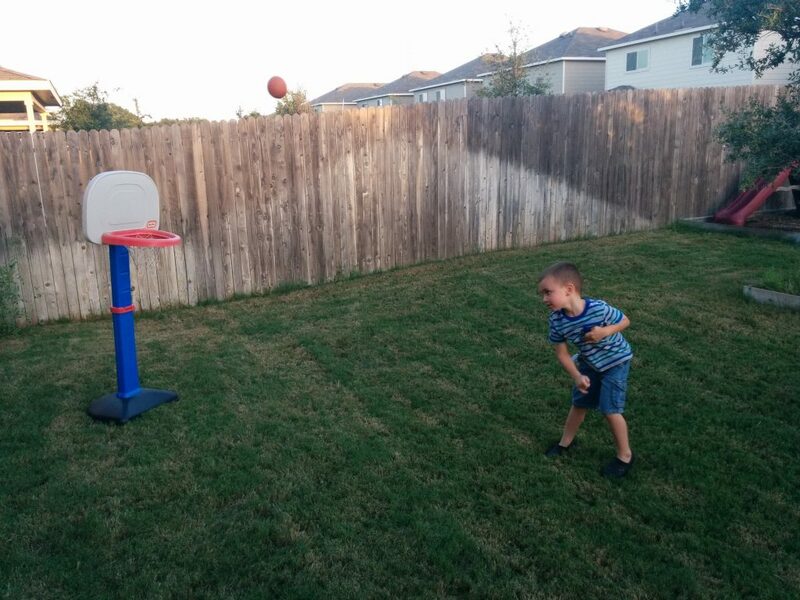 Working on his three-pointer shot. 😉 He did actually make this shot, though. It was pretty awesome. All ready to walk to school (he wanted to go on his own, but I vetoed that idea). Excited to get to go into the school. Waiting in line with the teacher’s aide. Fourteen years has yielded four moves (one cross-country), two deployments, multiple jobs, tons of schooling, countless church callings, and one sweet little boy (and adding our sweet little girl in a few months). At the Parent Orientation, I noticed this little gem on the wall. I asked his teacher if he had needed help writing his name and she said he had done it on his own. Go, Joseph! 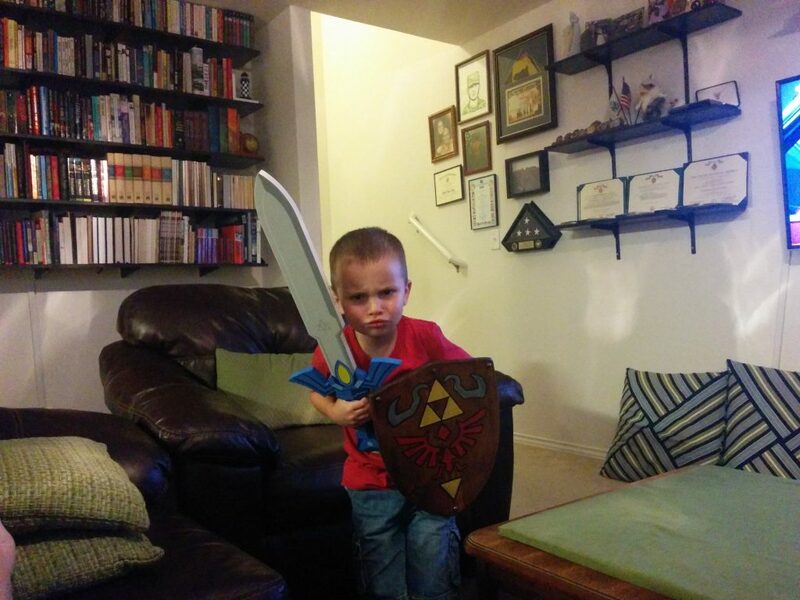 Showing off his new master sword. This is his “tough guy” face. Checking out some of the small wild cats at the zoo.